I’m a bottle girl myself. I’m just fine with with a plastic pump or pop open top. I prefer the no-mess, non-stick bottles over the stuck-to-the-counter (or bottom of my tub) bar of soap. 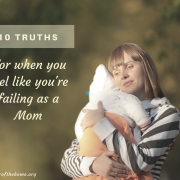 But, seriously, mamas, when I opened the box of Bend Soap bar soaps and became drenched in the scent of oh so wonderfully smelling goat milk soap bars, I couldn’t resist diving in! I can now say that I’m a reformed soap snob. A very nice smelling one. Cranberry Wassail, yep you read that right and that’s exactly what it smells like. I claimed it right away! Our girls are clamoring for the holiday scented bars like Candy Cane, Apple Pie, and Cinnamon Sugar. My husband, I think, would smell nice in the Mountain Bachelor Pine, a smell even the manly man would like. One of my teenage boys even snatched up a bar called Spiced Mahogany! Stocking stuffers, I’m thinking. My favorite find in the box? Milk bath in a bag. It looks like shredded cheese in a pretty potpourri bag. It doesn’t smell like cheese, though! The Sweet Orange shredded soap, actually soap curls, smelled so delicious I went straight to my tub and started filling it with water. The soap lathered beautifully, smelled ever so delicious in a light sweet scent, and felt luxuriously silky in the tub and for hours on my skin afterwards. When I rinsed off I expected to have that feeling that I would never get the soapy feel off my hands. Do you know that feeling? I have hard water and often good soaps are hard to rinse off. This soap, though, washed off clean and still left my skin feeling soft and silky. 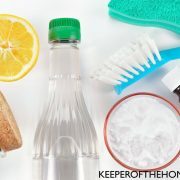 According to the company, “each of these all natural ingredients are full of antioxidants, vitamins, minerals, and healthy fats that will support, nourish and protect your skin,” which makes all the luxuriating even better. Knowing that a cleanser can be this good and nourishing for my skin is like the cream on top. 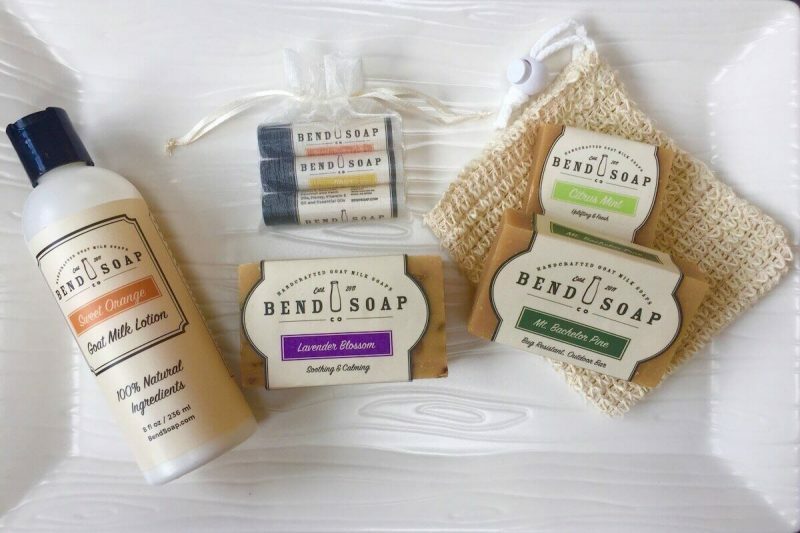 I did my homework and found a lovely story behind Bend Soap Company’s nourishing soaps. This isn’t just any family business. Dwight and Marilee Johnson have seven, yes count them, SEVEN boys and one adorable little girl. 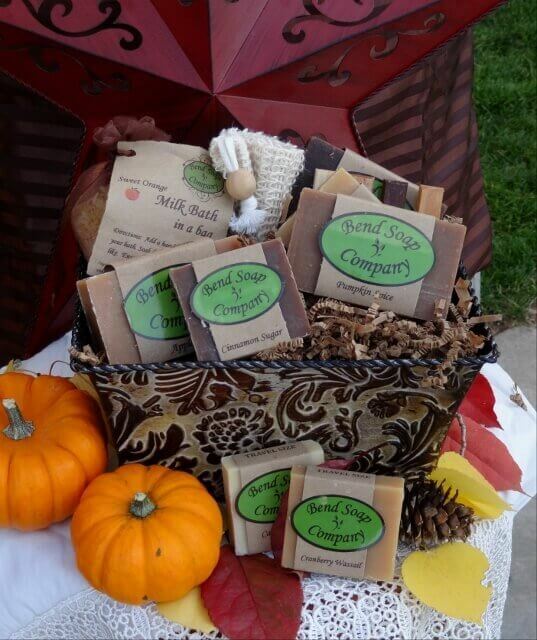 They began creating their own soaps from a desire to help their young son Chance who was suffering from eczema. In their search for healthy skin products to relieve Chance’s itchy dry skin, Dwight discovered that the conventional soaps they had been using were full of gunky ingredients that were contributing to the dry itchiness. During his research he found that goat’s milk was not only nourishing for your body when you drink it, but also nourishing for your skin. Have eczema or sensitive skin? Pure and Natural – for very sensitive skin, this soap is made of only goat’s milk, coconut oil, olive oil and palm oil. Good for babies, eczema and raw skin this simple soap moisturizes, hydrates and repairs. Oatmeal and Honey – Just like the Pure and Natural soap with the addition of real honey and real oats. The oats for their anti-itching and anti-inflammatory properties to soothe the skin. 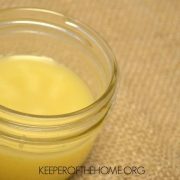 Honey, also having anti-inflammatory properties, is extremely moisturizing. 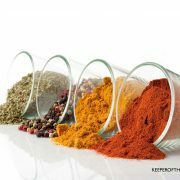 Other soaps are scented with essential oils like peppermint, lavender, tea tree, and orange valencia (my new favorite). Friends and family noticed what they were doing and started requesting goat milk bars to take home for themselves. 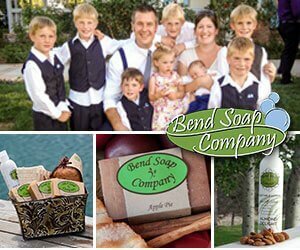 For the last four years the Johnsons have been making and selling Bend Soap. Thinking of buying some for stockings? And maybe yourself? 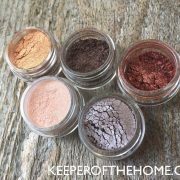 $2 shipping on orders under $5. Be wowed: Here’s how YOU can win! I often get itchy skin in the winter; I’d love to try this soap! I started using a natural soap about a year ago, and my girls have been wanting to use it as well. This would go to them (mostly). I would send it to my grandma. Depending on the scents I will be sharing with my daughters and husband. No I hadn’t even heard of this company until I read your blog. this is a hard decision, but i think i’d give it as a gift instead of keeping it for myself. i don’t want to ruin any surprises though! I actually think I’d keep this one! The scents sound amazing. I have not tried this soap before, so I would love to try it before I gift it. I’m something of a soap-a-holic but have never heard of this company before. Great back story. I love good soaps so would probably use for myself. Might share with my husband too. I would use some myself and give some away to family. If I win, I’ll probably split it between my mom and…me! The cranberry wassail sounds wonderful! 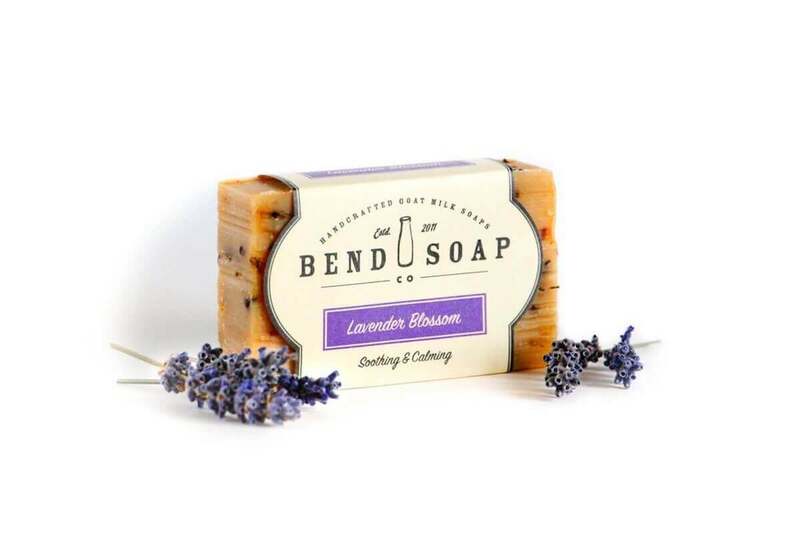 I’ve tried other brands of goat milk soap, but I’ve heard a lot of good things about Bend Soap, so I’d love to try it. I would share it with my daughter & my mother! I would share it with a friend because I LOVE soaps like this so I wouldn’t be able to resist giving all of it away anyway! 😉 I have never tried this company, so that would be cool to win. Thank you for the chance. Not sure if I would give as a gift to my mom or keep it for my family. I think it would be a lovely gift for my Mom who has sensitive skin. I’d like to share with my mother. She’s very sensitive to scents and this would be perfect for her. I’d probably use some myself and share some! I’ve been interested in trying goat milk soap. Keep, shameless I know! Help my sensitive skin. I’d like to gift to my mom or sister…but maybe keep it for myself. I would likely use these as hostess gifts… unless I just couldn’t resist keeping them for myself! To be honest, I’d probably keep it for myself! I might share a bar with my dad, he really likes natural soap. I will give it to my sister. She struggles with eczema. This soap sounds wonderful. If I win this gift set I will probably keep it for myself to try. I’d love to try this product!! I love the simplicity of the ingredients. I’d share with my naturally minded sister. I have not tried this soap, but would give it to my oldest daughter who has some skin issues, maybe it would help! Thanks! My whole family will trying out this soap if we win. Lovely giveaway. I would give this to my sister-in-law for her son that has eczema. I would love to try it myself and for my boys as well! I’m also a liquid soap junkie but would like to try some good bars! I love trying new natural soaps, it’s all I cuse. I will absolutely keep this for myself and hopefully find a new soap brand that I love. I would love the try this! We are always looking for clean soaps, so we would keep this for ourselves. It would be nice to try a new brand! I’ve never used BendSoap before but I feel it would be good for my skin. I’d love to try this and would keep it for myself. Would gift it to a co worker for Christmas 🙂 Thank you! It would be fun to share with my mom!!! I would love to share this gift with my mom, but would have to keep some to try with my sensitive skinned daughter. I would keep at least one bar for myself and share the rest with my mom. I would keep these all to myself mwah ha ha ha! Plus I’d love to do something about the dry chicken bumps I have year-round :). If I win, I’d keep it for my family to use. We love using natural soaps and these sound fantastic! I’d use it for myself and share some with my mom; haven’t tried it before but I’d love to use it! I would use it for me and my family! I’d probably use it myself. I’ve never used this soap before, so I don’t know what my favorite thing about it is. I’ve been experimenting with different types of natural soaps this year. I’d probably keep it to try out on my family and me. Would probably keep it for my family to use, sounds like it would be good for all of us! I would love to try this soap! I would probably keep some and give some away too. I’d use the Pure and Natural soap myself. I have sensitive skin and would love to try this. I have never heard of this company but would definitely love to try it out!!! I love natural body products and the benefits they provide!! I must admit, I would probably keep it for myself! 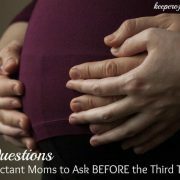 Although, I would share with my little one as he also has eczema flare ups every so often. I have never heard of them before! I think I would gift this to my mom! I have not used this soap before but it looks wonderful. If I won, I would keep it and use it on my family. We all have sensitive skin. I would use the soap for my family. I have been looking to switch to a more natural soap that will nourish our skin especially as winter brings dry itchy skin. My daughter has eczema and I would love to see if this helps. Thanks for the raffle! i would give it to my mom for christmas. And I have never tried them before. Keep it for myself! If I actually won a contest I would not give the prize away! I will use it for my family. I think this would be a nice treat for me so I would keep it.